The bustling, cosmopolitan city of Oslo is the capital of Norway. It’s home of the Nobel Peace Prize and museums of almost every topic imaginable! 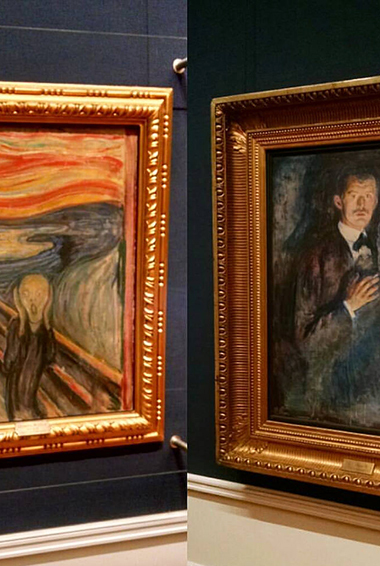 Oslo doesn’t disappoint history buffs or art lovers. 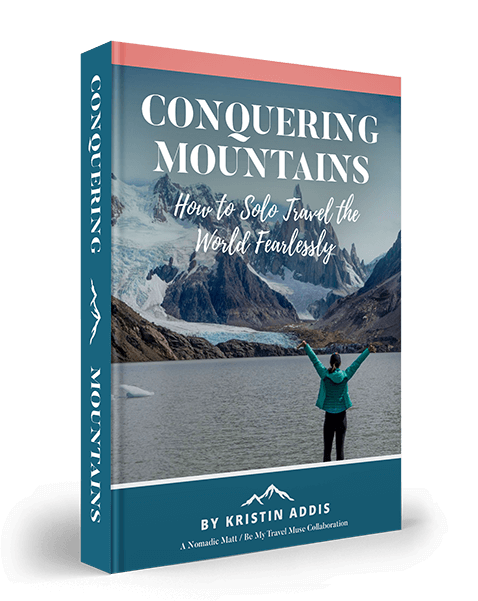 Some of the most spectacular natural landscapes in Norway surround the city, making it a perfect staging area for a day of hiking, biking, boating, skiing, or camping. When I first visited, I went to see some cousins and was shocked by the prices. However, subsequent visits have shown me that this city, though not the cheapest in the world, does hold some surprises that allow you to visit the museums, parks, fjords, and eat on a budget. This popular museum holds Norway’s largest public collection of drawings, paintings, and sculptures – it’s an excellent place to see older and local pieces. It is within walking distance of Karl Johans gate — Oslo’s main street. Admission for adults is 50 NOK, and it’s free for everyone on Thursdays. 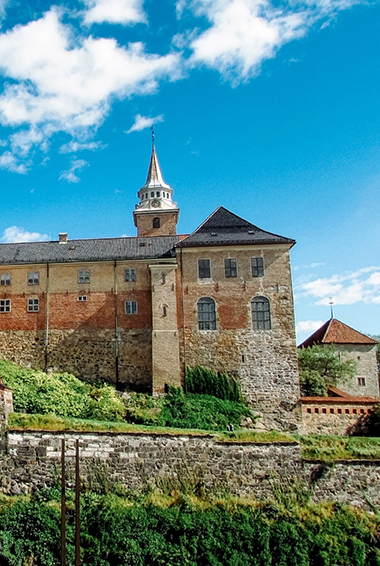 Located on the fjord in the city center, the Arkershus Fortress is a medieval fortress riddled with historical discoveries. It was originally built in 1299, but restorations have been taking place since 1899. Guided tours are now offered to the public during the summer. Admission is free. 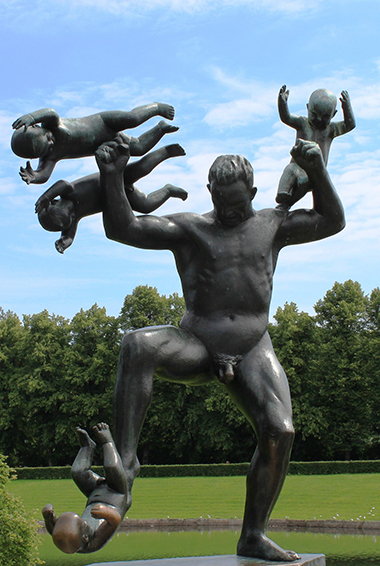 This is a unique park, dedicated to the life work of sculptor Gustav Vigeland. With more than 200 sculptures (including the famous screaming baby), it’s described as a monumental artistic creation with a human message. It is located in Oslo’s city center. 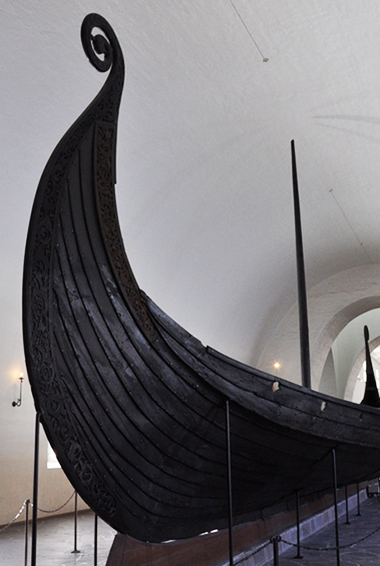 This museum is home to the world’s best preserved Viking ships, which date back to the 9th century, and an array of boats and carts, all with stunning ornamentation. This museum is located in Bjørvika, east of Oslo’s city center. Admission is 80 NOK for adults, 50 NOK for students/seniors, and free for kids. 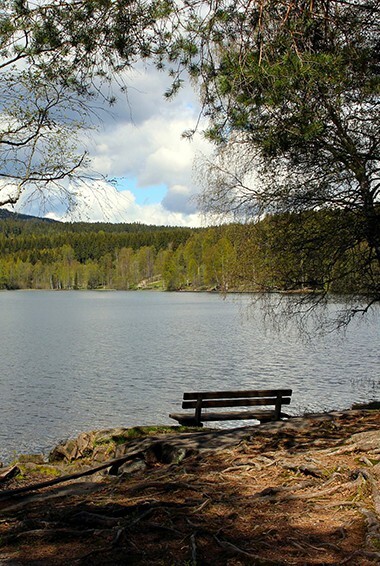 A nice change in pace from traditional city attractions, the Nordmarka wilderness area in the northern forest region of Oslo offers everything from biking to swimming to skiing, depending on the season. Huts are also available for overnight stays. Over 130 years old, Blomqvist is one of the oldest and largest auction houses in Norway. Located in the city center, it is an excellent place to stop by for traditional Norwegian art and antiques such as glass, silver, china, furniture, carpets, and even jewelry. The Norwegian Folk Museum is one of Europe’s largest open-air museums. It offers over 150 traditional houses from all over Norway, as well as an indoor exhibit. Activities range from horse and carriage rides and lefse baking to folk dancing, exhibitions, and arts and crafts. The museum is located in Bygdøy, east of Oslo’s city center. Oslo has many outdoor places that are ideal for swimming, from rivers to lakes in the woods. Akerselva is along the river between Maridalsvannet and the city center, Huk is east of the Oslo city center, in Bygdøy, and Lutvann is in the forest area of Oslo. Located in Eastern Oslo, the Kampen farm is an urban ecological farm, which was set up for children to learn about vegetables, herbs, and even animals. On weekends, homemade coffee, lemonade, and waffles are available. Great for a laid-back, kid-friendly afternoon. Located slightly north of Oslo’s city center, Grünerløkka is ideal for an afternoon of perusing small, independent shops. You can expect to find handcrafted goods, clothing, pottery, and various other trinkets of Norwegian influence, in addition to record shops and second-hand bookstores. Norway’s largest performing arts institution offers three stages and exemplary architectural design. Located in Bygdøy, East of Oslo’s city center, it is also home to the world’s first opera house rooftop, accessible to visitors and set up for concerts. Ticket prices will vary for each production, however, discounts are available for students, seniors, and children. There are also occasional “balcony concerts” performed by students, which are free and a great way to enjoy music on a budget. Perfect for an afternoon stroll and host to the largest concentration of restaurants in Oslo, Aker Brygge is located southeast of Oslo’s city center. Enjoy a wide array of foods (ranging from French cuisine to traditional Nordic dishes), or a simple day of window shopping and architectural admiration. The wharf has something for everyone. A quirky Norwegian pitstop, the Museum of Magic has been steadily growing since 1997. What started as a simple collection of posters, photos, and newspaper clippings is now a fascinating exhibition on Norwegian magicians. The museum offers a collection of props, costumes, and other traditional equipment and is complete with a gift shop. Located in Oslo’s city center. Admission is 50 NOK for adults and 20 NOK for kids. The perfect place to refresh your senses, the Botanical Garden is a beautiful place with over 1800 different plants. Largely set up as an Arboretum, the Botanical Garden also offers two greenhouses of exotic plants and a “Scent Garden”. Entry to the garden is free. Faster than the metro, the toboggan run is an exciting way to take part in a traditional Norweigan winter activity. Sleds are available for rental and helmets are free with the ride! Stop in at the restaurant for a bite to eat and take as many rides as you like. Home to more than 100 animals, this park offers a spectacular range of snakes, lizards, crocodiles, fish, and even various spiders. A great walk-through experience or afternoon plan for the family, the Oslo Reptile Park is conveniently located in the city center. Admission is 115 NOK for adults, 100 NOK for students, and 85 NOK for kids. If you happen to be in Oslo on December 10th, be sure to catch the torch parade honoring the winner of the Nobel Peace prize. While the ceremony is invitation only, many gather for the parade that runs from Karl Johans gate to the Grand Hotel. Held annually, this festival is host to world-renowned authors and varying literary events. It runs every Autumn and is free and open to everyone. It takes place at Karl Johans gate, the Opera house, and the House of Literature. Held every August 19-21, this fair offers more than 100 vendors. It’s a great opportunity to check out local textiles, ceramics, metal and woodworks, glass, and more. Considered one of Oslo’s best attractions, the Emanual Vigeland museum is host to a large display of paintings, clergy portraits, and sculptures. Originally set up as a museum in 1926, but later transformed into a tomb, the main attraction is a ‘dark, barrel-vaulted room,’ dramatically covered with frescoes. Admission is 50 NOK, and kids under 12 enter free. Hostel prices – Hostels in Oslo cost between 220-400 NOK per night for a dorm room. For a private room, expect around 500 NOK for a single, and 700-800 NOK for a double. Every hostel offers free WiFi, and a couple also include free breakfast. Keep in mind that Oslo is a small city so there are not a lot of hostels to be found. If you’re coming during the summer (peak season) then be sure to book in advance. If you have a tent, there are a few campgrounds outside the city where you can pitch your tent. Fees are generally around 130 NOK per night, however, if you have a Europe Camping Key card you will receive a discount. The intrepid camper can also wild camp outside the city, as it is legal in Norway (just be respectful and use common sense). You can book your hostel with Hostelworld. Budget hotel prices – Hotels in Oslo cost between 800-1,200 NOK per night for a double room, although prices start around 600 NOK for a single. If you want a budget hotel, stick to something local. All the major chains charge around 1,200 NOK per night or more. Use Booking.com as they consistently return the cheapest rates. For a better budget option, try Airbnb. Shared rooms can be found for 365 NOK, while entire apartments/homes usually rent for 885 NOK per night. There are plenty of options available right downtown, too. Just be sure to book in advance during the summer, as the best places will disappear fast! Average cost of food – Eating out is expensive, with fast food starting from 80 NOK and sit-down meals in a decent restaurant nearly always topping 285 NOK or more. McDonald’s or Burger King are around 100 NOK. If you are going buy your own food, expect to spend about 480 NOK per week. To keep costs down, avoid fresh vegetables (unless they are local), chicken fillets, and other imported foods. Transportation costs – In Oslo, buses/trams cost 32 NOK (single-adult, pre-bought), 50 NOK (single-adult, bus-side purchase), 90 NOK (24-hour pass), or 240 NOK (7-day pass). If you get an Oslo tourist card, transportation is included. Getting to the city is incredibly easy, as Norwegian Air has budget flights from all around the world. Buses and trains reach from Oslo to cities all around Scandinavia and Europe, as well, and can be quite cheap when booked in advance. There are buses and trains that run regularly from both of Oslo’s airports (Rygge and Gardermoen). One-way tickets to/from Rygge cost 164 NOK , and one-way tickets to/from Gardermoen cost 92 NOK. Cook your own food – Food is very, very expensive in Norway so the best thing you can do is it simply make your own meals. Go grocery shopping but skip buying lots of fresh vegetables such as peppers or whole chicken fillets as they are very expensive (minced chicken is cheaper). As a general rule, buy as much local food as you can as imported items will cost more. Avoid eating out if you’re on a budget!! Eat cheap – If you do decide to eat out, your cheapest options will be shawarma and pizza. These meals usually cost around 80 NOK. Couchsurf – The best way to avoid expensive hostels is to not stay there. Couchsurf (i.e. stay with locals for free) or rent a room from a local through Airbnb so you can save your money. Request couches far in advance as locals get lots of requests. Camp – Because of free public camping laws, as long as you have your own tent you can camp in the parks and public lands for free. There are many campsites on the islands out in the harbor that provide cheap accommodation and can greatly lower your costs. Be sure to get the Europe Camping Key if you plan on camping a lot as it will give you discounts to campgrounds all across Norway (and Europe!). Get a tourism card – Attractions in Oslo can get very expensive, especially since the exchange rate is so bad. The best way to afford all the attractions is to get a city tourism card so you can get free entry into all the attractions as well as free transportation. A 24-hour Oslo pass is 335 NOK, or you can pay 490 NOK for 48 hours or 620 NOK for 72 hours. Book transportation in advance – When booked in advance, bus and train tickets from Oslo can be found for 50% LESS than last-minute tickets. If you know your itinerary it makes sense to buy your tickets in advance.